Our master plumbers & service technicians provide a full line of residential plumbing, heating and air conditioning repair services to homeowners in the Denver Metro Area. Call now & find out why we’re considered one of the best plumbing, heating & air conditioning repair companies! Need a reliable plumbing, heating & cooling company to improve your home comfort? Your furnace not working or furnace won't turn on? Repairing home heating systems is our specialty. After troubleshooting your furnace problems, our heating contractors will determine if heater repair is the furnace service needed. We're a local heating repair company offering reliable furnace repair to residential homes. If you're worried about the furnace repair cost, don't be, our heating systems repairs quite affordable. Need a drain cleaner? We now offer a full line of the best drain cleaning services including: drain snake / plumbing snake, drain cleaning, sewer snake, sewer scope & sewer line jetting. All of our drain cleaners are clean cut, highly trained & qualified, and guarantee the job get done right. So, if you have a clogged drain or clogged sink, and want to unclogged without learning how to unclog a sink or drain yourself, then give us a call today! If you've been searching for local plumbers near you, you've found the right Denver plumbing company. leak detection, kitchen plumbing, bathroom plumbing (toilet repair, shower faucet repair), basement (sump pump repair & installation), and outdoor (trenchless sewer line repair, pipe bursting) plumbing systems. Need air conditioning repair service because your home central air conditioner or AC unit is not working, not cooling, or won't turn on? We repair all types, single-stage & double stage, of air conditioning units from all top brands like Goodman, Carrier & American Standard. Our AC technicians offer the best air conditioning repair in Denver & will have your home air conditioner cooling in no time! No hot water, or your water heater leaking visibly are hot water heater problems that indicate a need for hot water heater repair service. We repair both electric water heaters and gas water heaters from top brands like A.O Smith, Kenmore & Whirlpool. We also repair, install & replace accessories like your water heater thermostat. We offer replacement services for entire heating systems as well as furnace replacement parts. If your furnace blower motor, filter, gas valves, ignitor, heat exchanger, flame sensor, circuit or control board need to be replaced, then contact us today to schedule a visit. 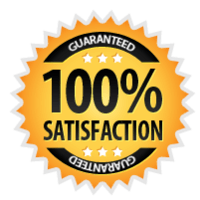 Why do we offer a no-questions-asked 100% Satisfaction Guarantee? Whether it's a repair, regular maintenance, installation or replacement, our price quote for a project will be given to you in writing. You never have to worry about run-away-budget hourly billing. The SWAN Family has proudly provided Plumbing & HVAC services to over 14,000 residents and families in our hometown, Denver, CO, within the past 25 years. All of our plumbers and service technicians are industry (N.A.T.E. & E.P.A.) certified and professionally trained before being hired. You can trust their work is the highest quality and done right the first time. Family owned & operated from the heart of Denver, CO, SWAN Plumbing, Heating & Air has provided professional HVAC service to over 14,000 residents and all of our work is backed by a 100% satisfaction guarantee! All of our work, including: plumbing, cooling, heating repairs and installation is backed by our written guarantee that our job isn't done until you are completely satisfied -- no questions asked! Make the visit from our plumber or heating / conditioning technician more affordable, for new customers only, with one of our complimentary coupons. Air conditioning and heating coupons are made available during season. View all of our HVAC & Plumbing Coupons here. Jeremi from Swan Plumbing and Heating came to clean our main sewer line, we just purchased our home and the inspector told us that the line was filled with roots. JeremI was very professional and polite and left the area he worked in as clean as it was when he arrived! I would recommend this company to anyone looking to get any plumbing work done! Our success is completely dependent on the satisfaction of our customers, so we're willing to do whatever it takes to complete the job to your satisfaction and show you why we're the most trusted when it comes to Plumbing, Heating And Cooling in Denver, CO.
What Type of Filter Should I Put In My HVAC System? How Much Will A New Furnace Installation Cost? How Much Can I Save By Using A Low Flow Toilet?